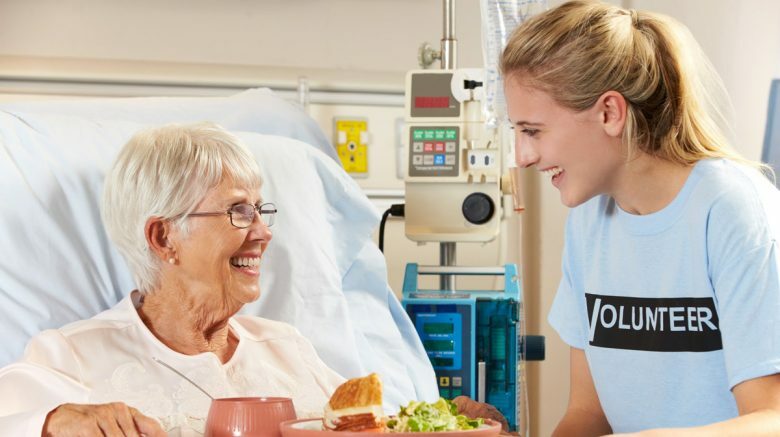 Home > Blog and Latest News > The Blog > Why are there not many young volunteers working in hospitals? Why are there not many young volunteers working in hospitals? I find it staggering to see that not many young people volunteer in hospitals and care homes. My name is Kieran Goodwin. You may know me as the Chief Executive at the World Youth Organization. What you might not know is that I volunteer twice a week at my local hospital on one of the respiratory wards where I assist staff with mealtimes, talk to patients and involve myself with other general tasks where I may be needed. Barking, Havering and Redbridge University Hospitals NHS Trust, is the organisation I work with. They have a huge volunteers team but not many are my age. Why this is, I’m not quite sure. Hospitals can be a scary place, people die there but also people get better, and new life is brought into the world there. Whether these areas are deterring young people from volunteering, I strongly recommend seeing past the possible taboos, and sign up to volunteer. It is an incredibly rewarding job to do. Despite not being paid, you get to meet incredibly interesting people from different cultures and countries. If you dive in head first, you will find out some fascinating stories patients talk about. Opening your ears, giving a hand to hold and just offer general comfort can go a long way in helping a person recover or come to terms with what they may have. The ward I work on, there are many elderly patients. Some rarely have visitors which leaves them feeling incredibly alone, isolated and sometimes bored. I ask my youth, how would you feel not having any relatives or friends come visit you while you’re ill lying in hospital? It would not be nice. Being a volunteer, you act as a friend or family member, whom may be absent from a patients life. You take on that role of giving empathy, love and care. Volunteering holds other benefits too. It could lead to future employment in a healthcare setting, and it may improve your communication and interpersonal skills too. Please do consider volunteering at your local hospital or care home. Whether you can spare one hour or multiple hours a week, the flexibility with volunteering is vast so organisations such as the NHS would always be willing to work around your other commitments. Find out more about the different types of volunteering within the NHS here. Find out more about Barking, Havering, Redbridge University Hospitals NHS Trust and Queen’s Hospital, where I volunteer at.